Kosher consumers from as far away as Boise, Idaho, or Memphis, Tennessee, can join local customers in browsing Rockland Kosher’s aisles virtually, with more than 40,000 products available including their bakery, meat and deli sections. 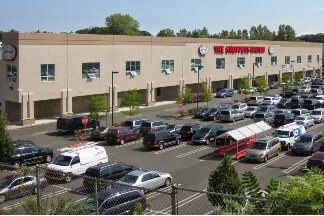 Rockland Kosher’s manager, Sheya Kohn, had been searching for the right e-commerce platform to boost his store’s sales. After some discouraging experiences with both a skilled software developer, who did not understand the grocery industry, and a generic e-grocery platform provider, who could not address the requirements of his business, he was referred to My Cloud Grocer by the store’s Point of Sale provider. Rockand Kosher’s brick and mortar store is approximately 50,000 square feet in area, with many aisles and sections. “We had to optimize the “Personal Shopper Route” system to match the store’s structure. In this way, those collecting the products can easily find the items in the most logical, efficient and quick way,” said Dan Dashevsky, co-founder and chief operations officer of My Cloud Grocer.